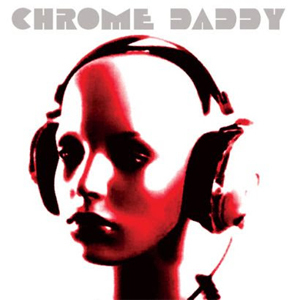 Formed from the visionary talents of Shawn Mars and Keith Roth, CHROME DADDY was a band that surfaced out of friendship and blasted into the stratosphere of the Jersey hard rock universe. Enlisting the ever capable drumming skills of Damian Cordisco and the six-string talents of SKID ROW's Scotti Hill, Mars and Roth seized downtime opportunity to blaze rock-and-roll trails of Marshall fueled brilliance, melding influential commonalities from bands such as SWEET, BOWIE, T REX, CHEAP TRICK and KISS and their love for all things 1970s into some of the decade's most underrated rock-and-roll to date. This rare release is a detailed story of that passionate effort. A musical journey comprised of standout individuals that teamed up to lay down a lifetime of skill in the briefest of timelines. The music you'll hear was birthed from the raw intensity of demos that came from the soul before growing and evolving into an even larger body of work for the consideration of one of rock-and-roll's biggest managers. In a time when the music business was shifting from the sound of the Sunset Strip to the grungy feedback drenched cries of the great Northwest, this foursome saw an extremely original opportunity to head down new and inspiring paths of direction. "Drivin' With Your Eyes Closed"